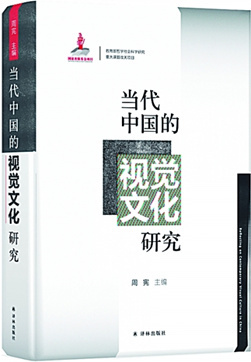 Edited by Zhou Xian, a professor from the Art Institute of Nanjing University, Contemporary Chinese Visual Culture Research focuses on the interaction between social change and visual culture, along with other various theories of visual culture. Recently, Tong Qiang from the Art Institute of Nanjing University and Tang Yunbing from Fudan University had a discussion about the book. Tang: Why keep focus on visual culture? Tong: This is because our society and modern life have been increasingly visualized. Language and discourse used to be the dominant form, but despite their continued importance, vision and image are now the primary focus. We are surrounded by images. As it is said in the preface of this book—visual culture is today’s dominant cultural form. With the rise of mass media, newspapers, movies, television and the internet, there is a profundity of visual images and symbols. In particular, mobile phones and connected networks have almost completely changed the mode of production of visual images, changing the relationship between humans and visual images and their transmission. Tang: What is the research framework of your work? How can we understand the concept of visual construction? Tong: According to Zhou Xian’s design, our research mainly runs through four concepts: image, visual representation, characteristics of visual culture and visual construction. Among the four concepts, the relationship between visual construction and our social life is the most complicated. The human vision has always been guided by a preset mechanism. This construction and this mechanism are the result of social construction. That is based on looking at visual construction externally. Internally, visual activity is a kind of construction to humans, essentially subjectivity. In other words, the construction of subjectivity is to cultivate people into what society expects through the visual process. As the book says, visual culture constructs the social subject through various visible symbols and images, and it shapes people’s understanding of society, culture and even themselves through the visual practice. Tang: What is the future of visual culture research? Tong: Recent decades have seen the rapid development of visual culture and its intersection with philosophy, literature, communication, art and other fields. However, the rise of other academic hotspots such as digital humanities, data visualization, auditory culture and sound aesthetics has diverted some attention away from visual culture. W.J.T. Mitchell, a well-known American art theorist who opened a visual culture course at the University of Chicago in 1995, advocated using critical language to transcend the power of image and dispel the blind worship of image. This is still the main driver of the study of visual culture.